Sydney is bordered on the east by the Tasman Sea and encircled on its other sides by a nearly continuous band of bushland (areas of native vegetation). The Nepean-Hawkesbury river system flows around Sydney’s outer edges, emptying into the sea north of Sydney. 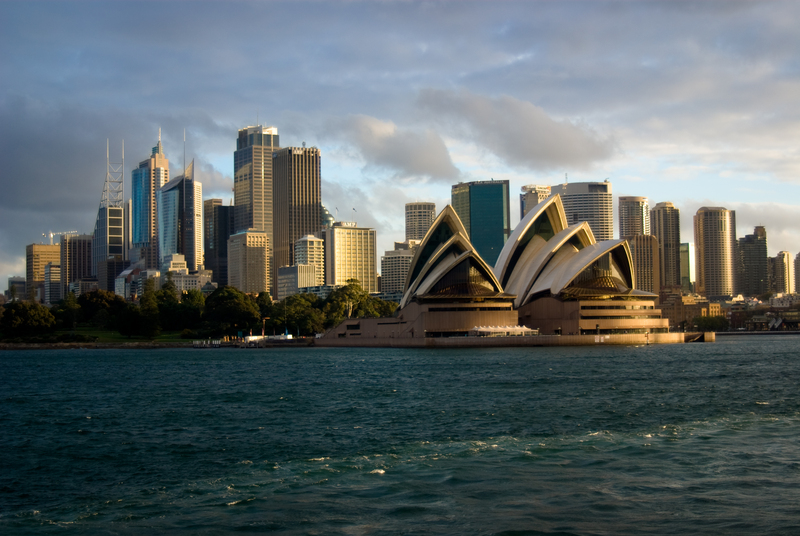 Located in Sydney Cove along the Port Jackson waterfront of Sydney, Australia, Circular Quay was the final point of anchorage of the First Fleet, which brought the first European settlers to Australia in 1788. Long the shipping center of Sydney, Circular Quay is now the main dock for ferries traversing Port Jackson. The Circular Quay West walkway on the left leads past the brown sandstone Museum of Contemporary Art.